Here is a design I made last year and had 3D printed out of stainless steel. Took about an hour to sand and polish. I feel like it has the style of lightweight engineering but still durable. I think it cost about $25 for the print. 3D printed aluminum would be about $60. 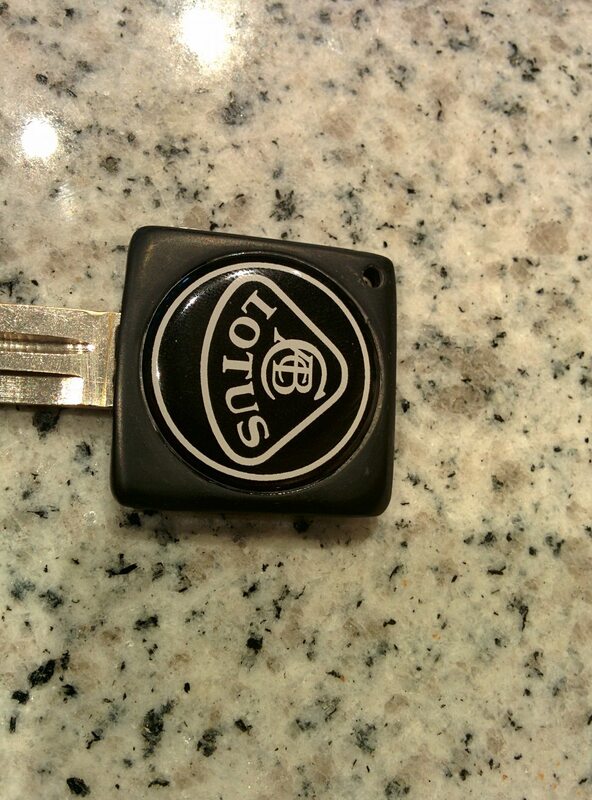 I like your design as we can re-use the existing plastic key portion of the OEM fob, would you be able to incorporate the Lotus name and or logo like on this keychain tag in the area with the X on your 3D printed design? If so, I would buy 2 in either SS, Al, or Ti. With 3D printing the text typically does not show up very clearly unless the font is large. I used Shapeways.com for the printing and their stainless parts are on the lower end of metal 3D printing resolution. Their aluminum would probably have much better detail as they use a different 3D printing method. I am not trying to sell a product as I just do not want to deal with the hassle but if there is interest I can set up the CAD file on the Shapeways website so anyone can choose what they want the part made from and just purchase from there. The key blank I used came with a replacement lock set I got for my Exige but I can not find a good source just to buy the key blanks. 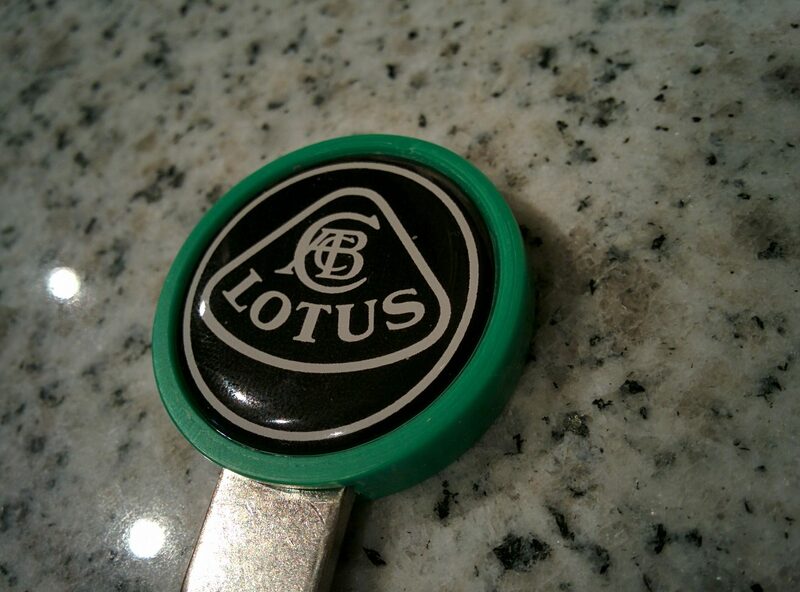 Lotus - emblems and decals They're printed to vinyl with a clear polyurethane resin dome on top of it. Haven't ordered anything from them before, but the images on their site look like they're good quality. I'll post my thoughts on their quality as well when I post pics of the key. 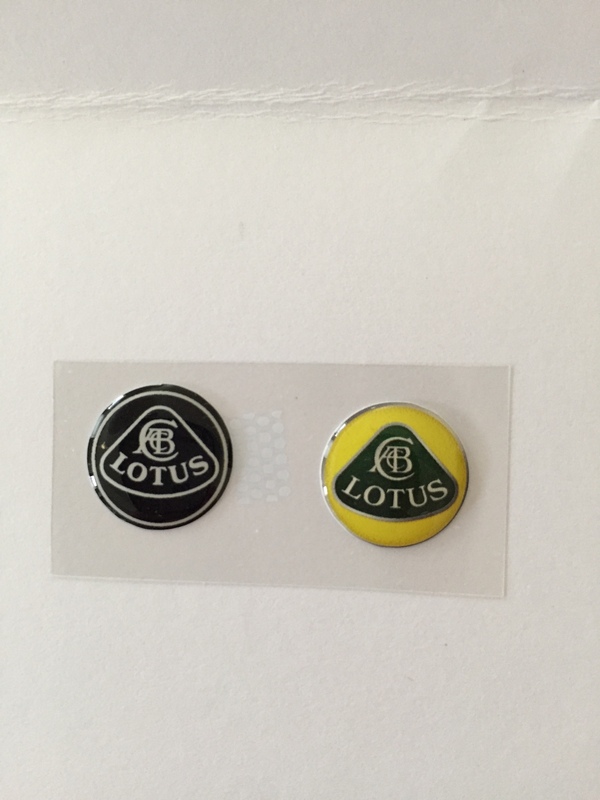 @CloudySkys , did you receive your Lotus emblems? Mine just came in today! Probably going to modify the OEM keys with these until @Mad MaTTer posts his group buy. Yep, I did get mine, but I'm out of town until the end of the week. I'll post pics when I get home this weekend. 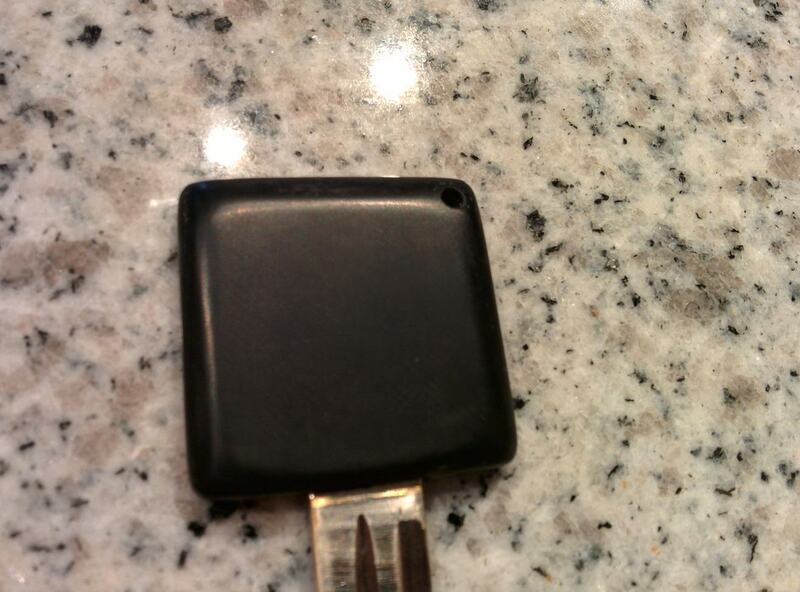 Got my emblems, first 2 pics are of a black and white one on my 05 test key I made. This one has the indent for the emblem on both sides, but I drew up a model to print one side of it with a rounded plastic dome instead as well. The second 2 pics are one for a 06+ key with the emblem only on one side. 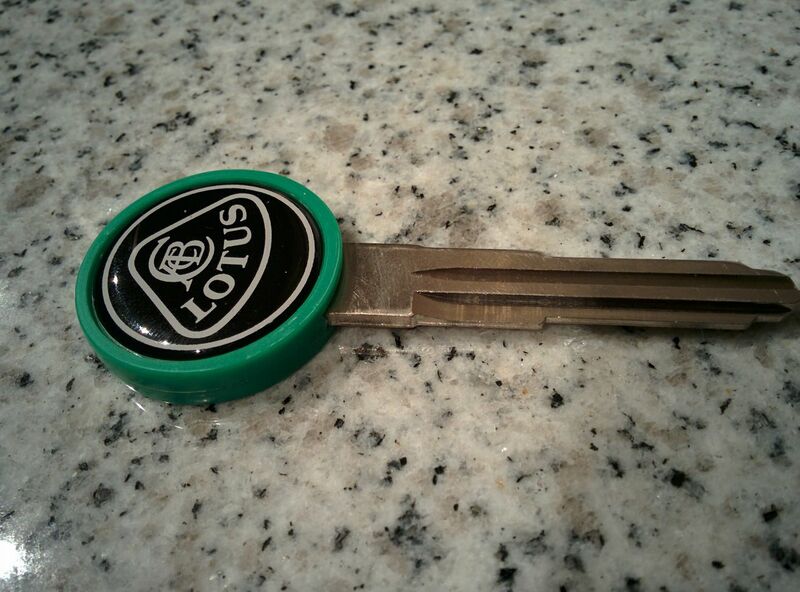 No pics of the full key there because it's the spare for my car not a blank.